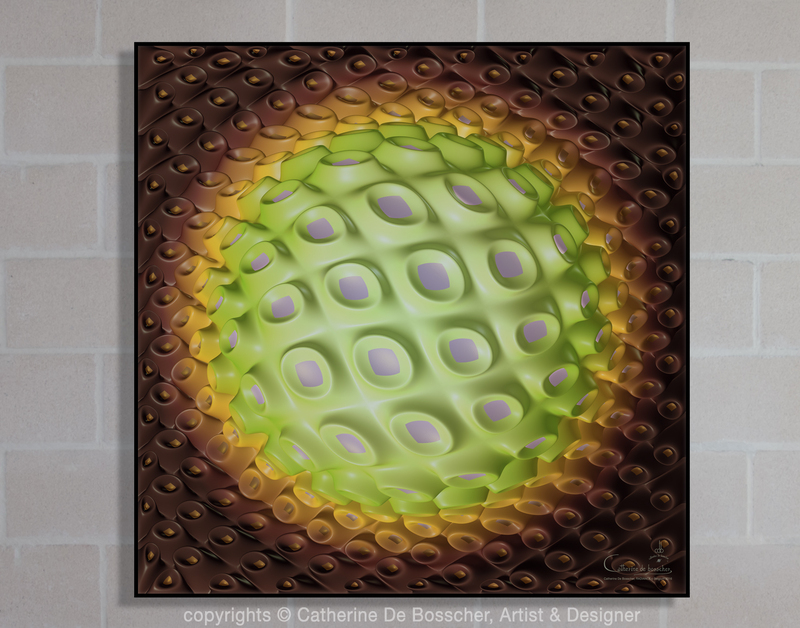 Theme: My series “Chromatic Pattern” is inspired by aquatic organism. 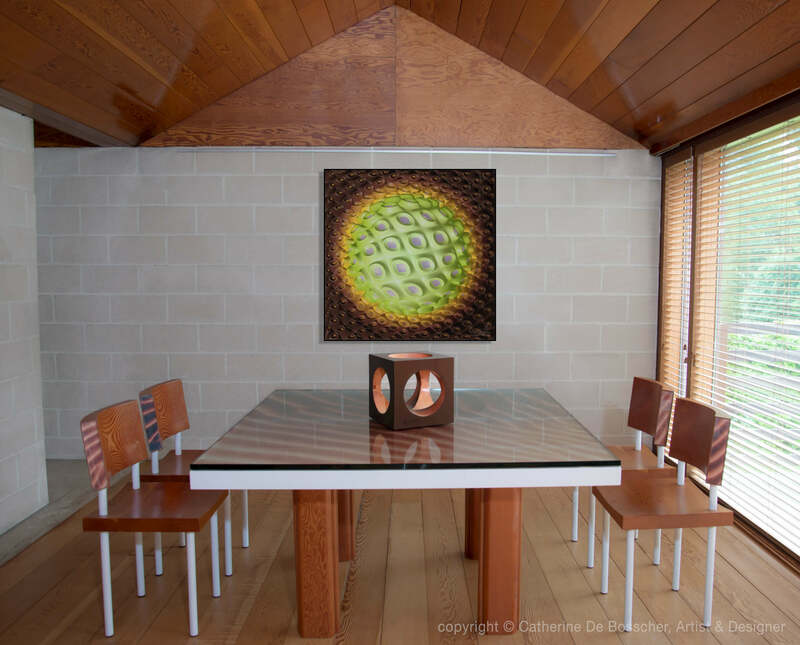 I have designed soft and colourful geometric shapes in movement to create an optical illusion. Subtle gradient and vibrant colours and shapes intertwined gives an impression of 3D movement to the painting. Technique: I design all my artwork from 3 D objects that I have built using 3D design tools, once the scene completed, the painting is rendered and printing on high quality medium. 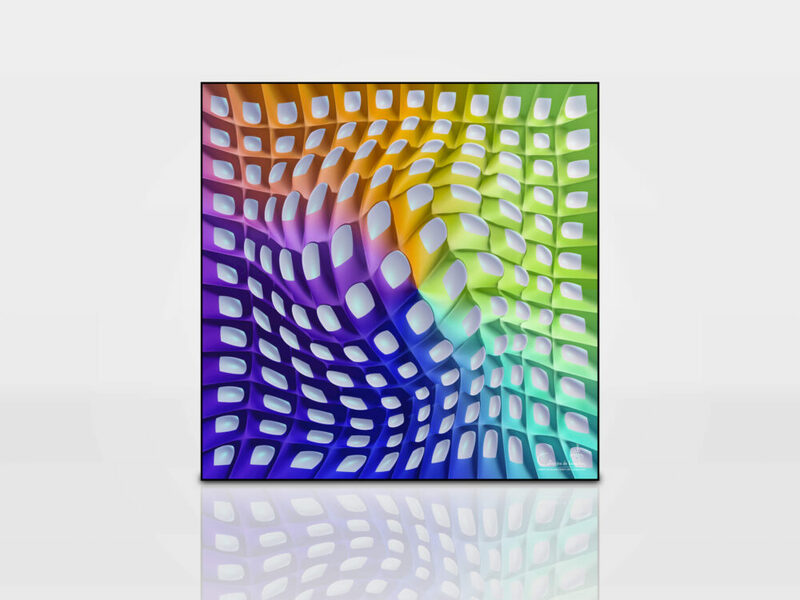 Support: Chromalux: High definition print by sublimation on Aluminium. Beauty of a top-class picture with the unmatchable quality of aluminum. Phenomenal sharpness, depth, lustre and colour. 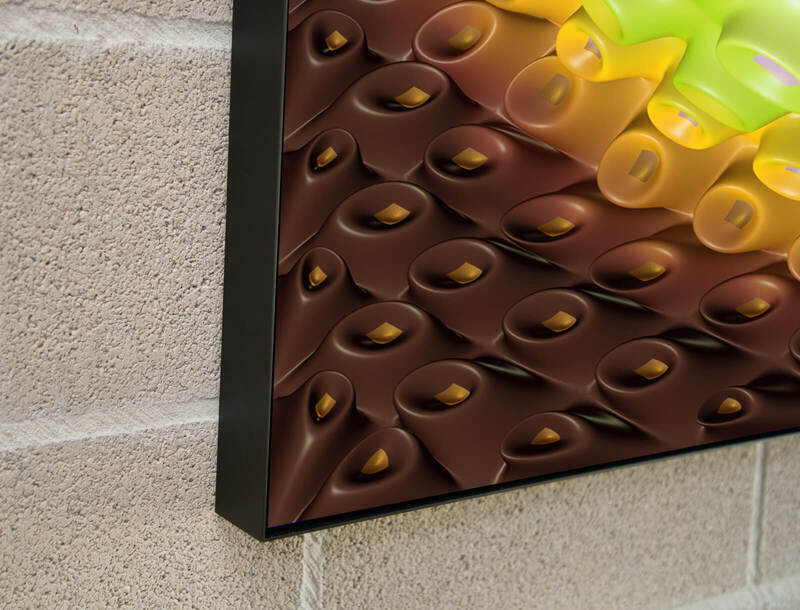 Frame: The artwork is sold with a 5 cm/ 2 inch depth black aluminium Art Box frame. Edition: Limited and signed edition of 4 per format. 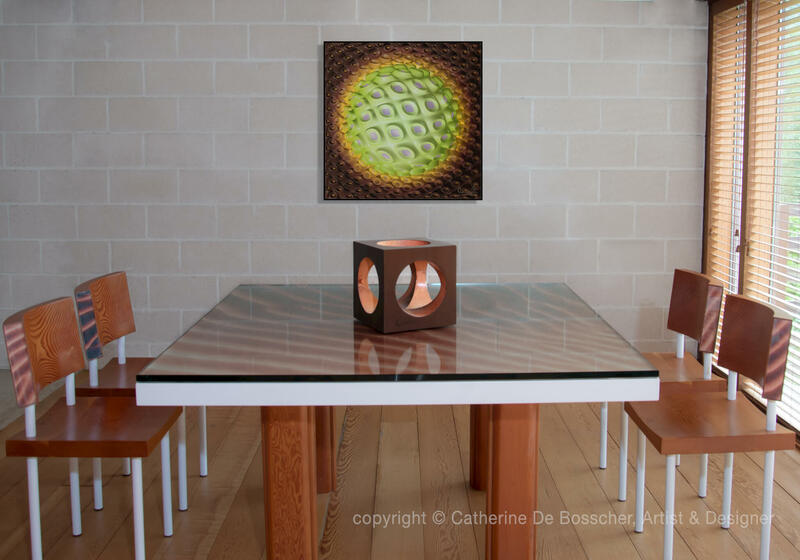 Alternate Size: This item is also available in a larger Size: 113×113 cm/ 44.5×44.5 inch– Price: 2640 €. Related Product: In the picture below, you can see also the sculpture “Caraïbes” available on this link. 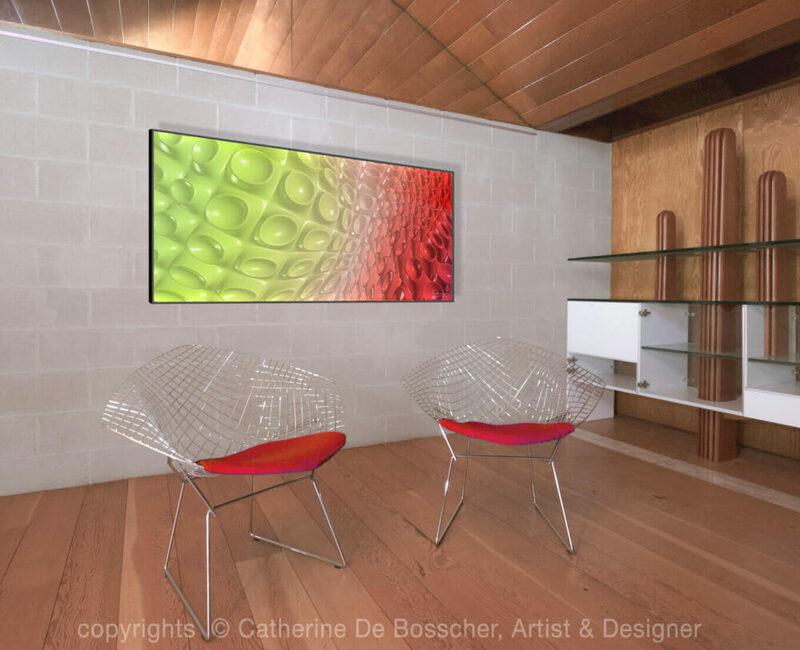 Digital Painting printed on High definition by sublimation on Aluminium. Brilliant colors. Resistant to UV light.